오늘의 표현은 Knock yourself out입니다. Before we find out what ‘knock yourself out’ means, let’s listen to today’s conversation. 그럼 오늘의 대화를 들어보면서 ‘knock yourself out’이 무슨 뜻인지 알아보겠습니다. 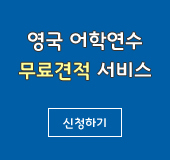 잘 들어보세요. Listen carefully. Jason: Hey, do you mind if I borrow your car to pick up Katie from the airport? Jen: Sure, go ahead. Knock yourself out. 본문에서 Jason이 제게 “Hey, do you mind if I borrow your car to pick up Katie from the airport? 공항에 Katie를 데리러 가야 하는데, 네 차를 빌려도 될까?”라고 묻자, 저는 “Sure, go ahead. Knock yourself out. 물론이지, 마음껏 타.” 라고 했습니다. Now keep today’s expression ‘knock yourself out’ in mind and let’s hear the conversation again. 그럼 다시 한번 대화를 들어볼까요? Today’s expression is knock yourself out. To “knock yourself out” means to go for it. It simply means to do as one pleases and to go ahead and do something. ‘Knock yourself out’는 ‘마음대로 해’ '원하는 대로 해 봐'라는 뜻입니다. 누군가 뭔가 하고 싶은 일이 있을 때, 마음껏 해보라고 말해주는 겁니다. In today’s conversation Jason asks if he could borrow my car to pick up Katie from the airport. I then tell him to knock himself out. By saying this, I simply meant to go ahead and do that. 오늘 본문에서 Jason이 제게 차를 빌려도 되냐고 묻자, 저는 마음대로 타도 된다고 대답했습니다. 영어로 “Sure, go ahead. Knock yourself out.”라고요. 이렇게 누군가에게 마음대로 해도 된다고 할 때 쓸 수 있는 표현이 ‘knock yourself out’입니다. 그럼 예문을 통해 오늘의 표현을 더 익혀보겠습니다. 친구가 “Can I have a piece of your pizza? 네 피자 조금만 먹어도 될까?” 라고 물어봤을 때 “Of course, knock yourself out.”라고 대답하면, “응 마음껏 먹어.”라는 뜻입니다. ‘Knock yourself out’, 이 표현 잘 기억하시고요 오늘의 대화를 마지막으로 들어보겠습니다. Now that you know what today’s expression means, let’s listen to the conversation for the last time. Let’s review what we have learned today. To “knock yourself out” means to go for it, to do as one pleases and to go ahead and do something. KNOCK YOURSELF OUT. Now try using this expression on your own. 지금까지 ENGLISH WITH YOO에 Jennifer Yoo입니다. Until next time, bye bye!